In the United States today, marriage gets mixed reviews. We guarantee that when it comes to hot-button topics to avoid in the office break room, marriage would rank third (right behind politics and religion). While marriage has been viewed as a vital part of society for centuries, many modern-day Americans are questioning whether it’s really necessary. 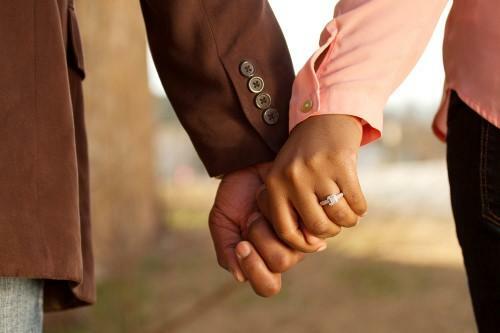 The numbers don’t lie: a recent report from the Pew Research Center shows that the number of never-married adults in the U.S. is at an all-time high: 1 in 5 adults ages 25+ have never been married, compared to 1 in 10 adults in 1960. People are getting married later in life, while some simply aren’t interested in marriage at all. People get married for many different reasons; hopefully, deep love and commitment are at the top of the list. But as much as we love a good Edible Arrangement, at Taylor King Law we tend to look at things from a…well…legal standpoint. And because Arkansas law does not recognize common law marriage, living with your partner for many years is simply not the same as being married in the eyes of the state. This bears repeating: There are no common-law marriages in Arkansas. You’re probably aware of the potential tax benefits of marriage: you can file taxes jointly (which may or may not benefit you, depending on your employment statuses and income), and you won’t have to pay taxes on any gifts you give your spouse. But did you know about these other important benefits that come with being legally married? You’re next-of-kin for your spouse. If he or she is sick or hospitalized, you’ll be the first to get updates and have visitation privileges. You’ll be able to make the medical decisions if your spouse is unable to, as well as potentially sue for wrongful death in the event of wrongdoing. If you’re unmarried, your partner’s parents will likely be considered next-of-kin, not you. You can receive spousal Social Security benefits – and qualify for “survivor” benefits if your spouse dies. It’s also possible to receive benefits if you are divorced but were married for at least 10 years. Those rights are not granted to an unmarried partner. If your spouse is killed on the job, you can receive Workman’s Compensation on their behalf. Again, this only applies to legally married spouses. You’ll have power if your spouse doesn’t leave a will. If a deceased person was unmarried, the state determines where his or her assets go – likely to a blood relative, rather than an unmarried partner. You can roll over your deceased spouse’s IRA into your own IRA. If you’re unmarried and your partner dies, you’ll have to begin taking those distributions immediately. But if you are married, then you can postpone minimum distributions and roll it over into your own IRA. There are countless other psychological and emotional benefits to being married, but we’ll leave those to psychologists to explain. Of course, we would never encourage you to get married simply because you stand to gain something from it. If you’re committed to spending the rest of your life with someone but just don’t want to “put a ring on it,” however, you might want to take another look at the legal ramifications. If you’ve never created a will, living will, or durable power of attorney, we offer those services at Taylor King Law! Call 1-800-227-9732 today to discuss how we can help you. And if your or your spouse has been injured in a car accident, motorcycle wreck, on the job, or you suspect nursing home abuse or neglect, we handle that, too. The Arkansas injury lawyers at Taylor King look forward to talking with you.